Connie di Marco is the author of the Zodiac Mysteries from Midnight Ink featuring San Francisco astrologer Julia Bonatti. The Tail of the Dragon, third in the series, will be released on August 8, 2018. 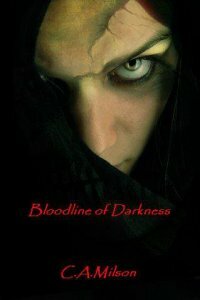 You can visit her at conniedimarco.com, at Facebook.com/Connie di Marco Author or Twitter @askzodia. Set in New York City in 1976, Snakes Can’t Run finds NYPD detective Robert Chow still haunted by the horrors of his past and relegated to tedious undercover work. When the bodies of two undocumented Chinese men are found under the Brooklyn Bridge underpass, Chow is drawn into the case. Most of the officers in his precinct are concerned with a terrorist group targeting the police, but Chow’s investigation puts him on the trail of a ring of ruthless human smugglers who call themselves the snakeheads. As Chow gets closer to solving the murder, dangerous truths about his own family’s past begin to emerge. Steeped in retro urban attitude, and ripe with commentary on minorities’ roles in American society, this gritty procedural will appeal to fans of George Pelecanos and S.J. Rozan. The mind is a funny thing. After I got on the wagon and fell in love with a girl, I started seeing my father out in the streets. I didn’t literally see his ghost walking around, but I’d see his nose in profile on another guy’s face. Sometimes I’d be walking behind someone who had his slouchy shuffle, his spotted ears, or the back of the head that looked like an elderly porcupine with spikes gone soft and white. Of course it wasn’t my father. It was an older guy who wanted to know if I was the guy whose pictures used to be in all the Chinese newspapers. The man was almost completely bald and had two light brown spots on the top right of his head that looked like an imprint from a woman’s high-heeled shoe. He called me the Sheriff of Chinatown. I tried to get away from him as soon as possible, but he was one of those people who liked to say good-bye and then ask another question just when you’re about to part. The guy ended up grabbing both of my hands twice before I was able to make the corner and get away. I checked that my wallet was still in my pocket, though, just in case he had been working me with a partner. I guess he was genuinely glad to meet me. Thanks for being my guest. Tell us about you as a person. I am a punk-rock kid. I grew up listening to Husker Du, Black Flag and other bands whose very names would not be appropriate to print on a family-oriented site. Apart from the music, I really love the attitude about it, that maybe you don’t know how to play your instrument or sing, but if you really want to be a band and make music, you’ve got no excuses. Later on, I had that same attitude when I wanted to write my first book. I dedicated myself to sitting down at that keyboard nearly every night for half a year to bang out a first draft. I wouldn’t need the whole day, but it would be great to split a pizza with Dashiell Hammett. He was a man of such integrity and a great writer to boot. I wonder what toppings he’d like. Maybe he’d eat it with a knife and fork. Snakes Can’t Run is the sequel to This Is a Bust, and is a continuation of the New York Chinatown mystery series set in the 70s. The cop narrator, Robert Chow, is on the hunt for snakeheads, human traffickers. He’s not going to like what he finds. I listen to music, but nonvocal stuff. Surf and drag music is great because it’s so energetic. Instrumental jazz is awesome, too, and I’m a big supporter of WBGO in Newark–that station plays all the good stuff and it’s as close as any Internet connection. Robert Chow is a Chinese American guy who fell in with the wrong crowd early on. He was drafted to serve in Vietnam and although he returned physically well, Chow still has PTSD. In the first book he had to solve himself to save his life. Now he’s able to help others. This is an answer loaded with landmines–I am friends with many Asian American actors who could very well play the lead. Can I demur and say that I would love for Mahershala Ali to play Chow’s African American partner? Ali has a quiet gravity that he showed in Moonlight and also a bit of playfulness embedded in his House of Cards character. I write a mystery series set in Taipei for Soho Crime. So far, they’ve published Ghost Month and Incensed. I’m now on the third. Don’t be a hypocrite–talk about the books and writers that you love, who maybe aren’t so well-known. I really love this book The Secret Origins of the Bible by Tim Callahan. It details all these stories that have their origins in ancient Mesopotamia that didn’t become apparent until excavations and translations were made in the 20th century. It’s part mystery, part history, part fable and part faith. A great book. I play bass, but not well. Oh, actually, I’m pretty good at Street Fighter II, the old arcade game. If we’re ever near a Street Fighter II cabinet, please challenge me! I’d want to be able to help young children see logic. I have a four-year-old who just doesn’t understand when I try to explain things to him! In no order: See those Incan walls; make it down to New Orleans for the Ponderosa Stomp; get a TV with 1080p display capability that still has an s-video port (I still have a laserdisc player); finish Panzer Dragoon Saga; organize the storage cage. Don’t consider this my final message. I’ll always be back. Have a great day, guys!